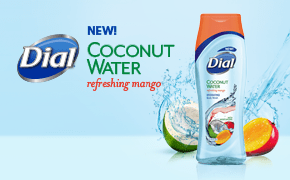 Home / Giveaways / Coconut Water Refreshing Mango Dial Body Wash! 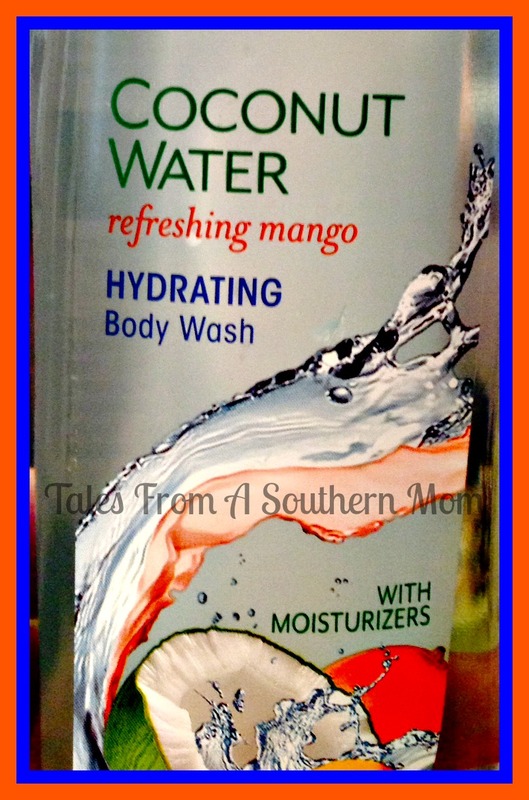 Coconut Water Refreshing Mango Dial Body Wash! I was honored to be chosen for the new Dial Hydrating Body Wash review by the Purex Insiders team. 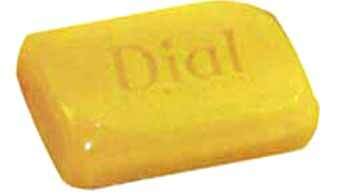 I remember Dial soap when it was that gold bar that was in dad’s shower, and maybe he would let your brother use it after a hard day of play, but it was one of those things that dad used and it was pretty basic and smelled rather manly to me. Well, they have changed the way they do their soaps! They sent me a bottle of the new Dial Coconut Water Refreshing Mango Nourishing body wash and it is awesome! The smell is so summery and light yet enough to clean all the dirt and smell off from the day. I love this body wash. It is a blueish clear color which, I happen to like a lot, I don’t like things that are creamy looking, I always feel like I am putting lotion on instead of washing. The lather was, foamy and light, and the scent filled my whole shower with a fresh mango, and a light coconut summer scent. When I rinsed I felt clean, and, however my skin did not feel tight and dried out, with it being a hydrating body wash that was really nice. I sometimes feel as if you have few options with skin care and body wash, either the scents are over powering and awful sweet, the soap leaves your skin like an oil slick, and while I love moisture as much as the next girl, it gets a little crazy, or you have that great clean and overly dried out feeling where if you were to walk you would crack your skin. This moisturizing body wash was great in that I felt clean, not dry and stiff, and the scent was lingering yet not overpowering. Just a nice fresh body wash.
My husband tried it and he liked the feel of it as well, of course he wanted something a little harsher for when he was out working in the yard, but for every day this was his choice, and mine for a whole family body wash. I hope that you give this a try! 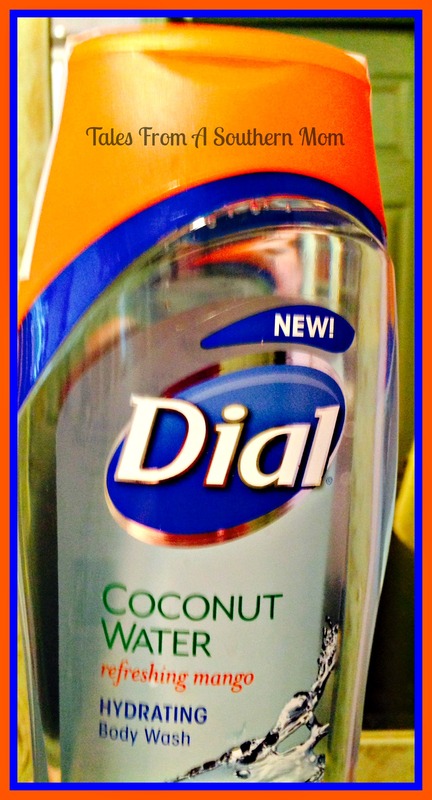 Dial also sent me 3 great coupons for a FREE bottle of the great Coconut Water body wash for my readers to win and see for themselves how great this stuff is! Enter below and lets get this party started! Good Luck! Previous post: Blogger Opp! Keep Your Cool For Back To School’ Giveaway Event! I now use dove body wash. I use a white citrus body wash from Bath & Body works – I love the light citrusy scent.